This is a disorder of the inner ear that causes spontaneous episodes of vertigo- a sensation of a spinning motion along with fluctuating hearing loss, tinnitus and sometimes a feeling of fullness or pressure in one's ears. Individuals in their 40s and 50s are more likely than people in other age groups to develop Meniere's disease but it can also occur in children. No single cause has been identified hence it is likely that this condition is caused by a combination of factors. 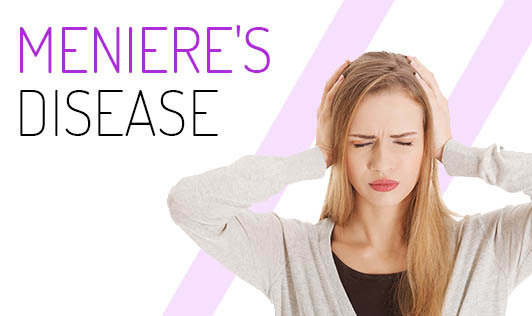 Contact your doctor immediately if you experience any signs or symptoms of Meniere's disease!